The North Jakarta Asset Management Sub-Agency is fencing the Jakarta Provincial Government's land assets in six locations. Until now, the fence physical construction has reached 17.5 percent.
" 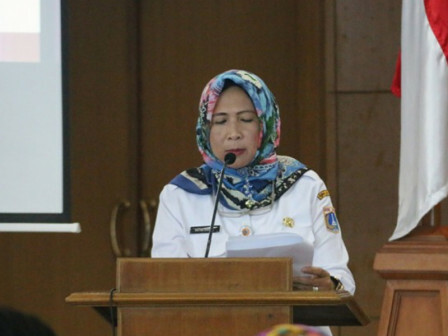 Six land locations are still being fenced, and two more locations will be done in the near future"
North Jakarta Asset Management Sub-Agency Head, Ratna Diah Kurnia stated that it has been ongoing since October. For this year, eight land locations will be fenced. "Six land locations are still being fenced, and two more locations will be done in the near future," he expressed, Wednesday (11/14). Those six land locations are located at Jalan Bisma 8 and Jalan Bisma 20 Papanggo Urban Village, Jalan Danau Agung 7 dan Jalan Griya Manis, Griya Inti Sentosa Housing, Sunter Agung Urban Village, as well a Jalan Janur 9 Kelapa Gading Barat Urban Village. The fencing itself uses river stone as foundation, bricks and trellis iron as high as 1.75 and 1.1 meters. While each land's width is varied, between 1,140-7,900 square meters.